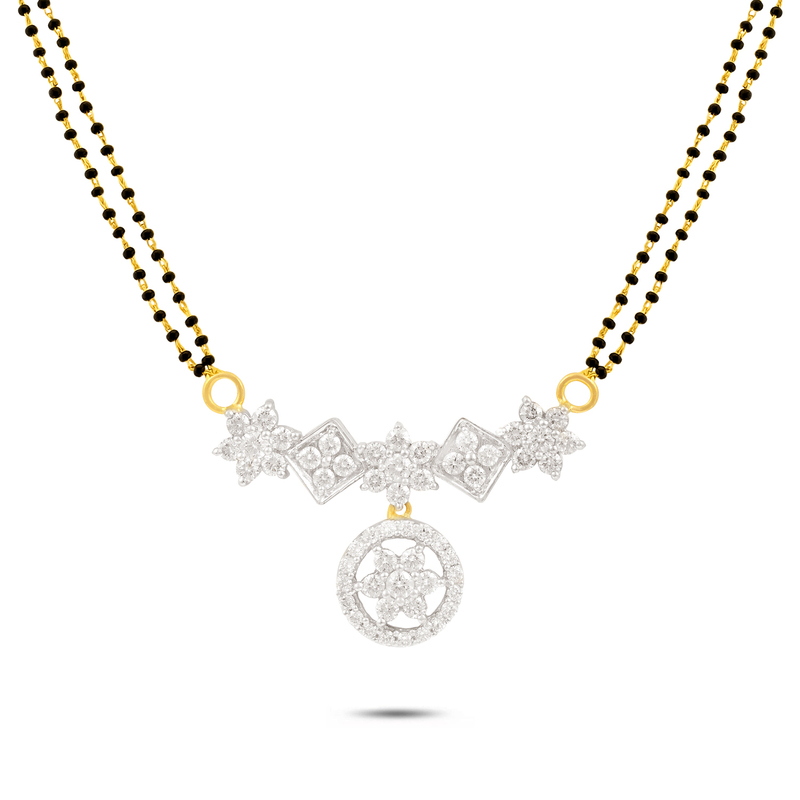 Sunbeam Diamond Mangalsutra Pendant is a stunning and peculiar design crafted by PN Gadgil Jewellers. This glistening mangalsutra can be worn on festive and traditional occasions to compliment your persona. The pendant is beautifully encrusted with 55 gleaming diamonds with alternate design of squares and flowers sparkling with superb radiance. This is a perfect piece to wear on special occasions.